I like to craft with my kids and together, we try to unleash our creativity by doing simple but fun-filled art and craft projects. My inspiration comes from everything around us and I'm happy to say that my Creativity 521 series has been running for almost four years now and will hit the hundredth post very soon! One of my biggest motivations to keep going is the man in the spotty waistcoat. Not sure who he is? Here, take a look! Yes, it's CBeebies' Mister Maker! My kids and I have been watching his shows for quite some time now and I'm glad that they always choose to watch his shows over any other cartoon. We love how passionate and animated he is, how his craft ideas are so cute and inspiring, and how the tutorials are easy to follow! 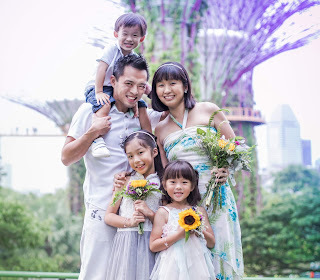 Can you imagine how thrilled the girls were when I told them that Mister Maker is coming to Singapore and we will be able to see him live in action? Yes, they were over the moon! 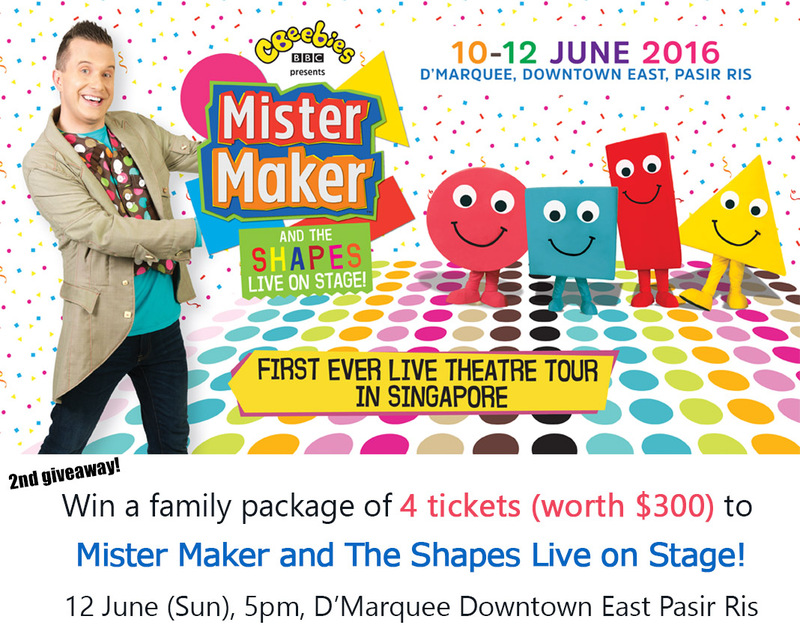 Mister Maker goes on his first ever live theatre tour in Singapore from 10 to 12 June 2016! With a fabulous supporting cast and art at its heart, this fantastic live show encourages Mini Makers and grown-ups to sing, dance and make some noise. 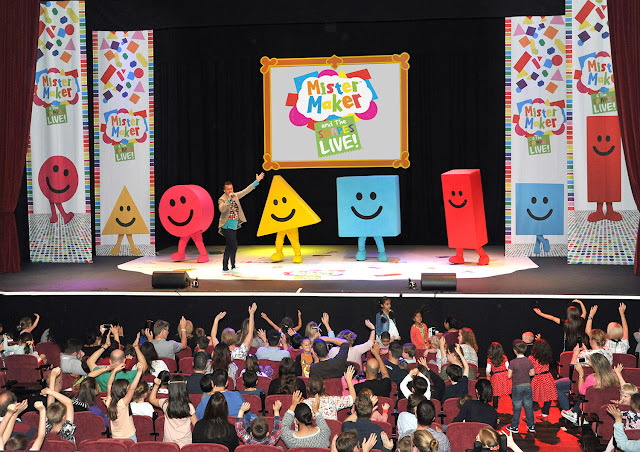 During this interactive live show, there’s a big ‘make’ to take part in, lots of audience participation and....The Shapes! Yes, the kids will be able to share the fun with Circle, Square, Rectangle and Triangle too! Mister Maker is the ultimate arts and craft show for pre-schoolers and early primary years which teaches and entertains in fun and imaginative ways. He is a real life character who gets his inspiration to make art from everything and anything around him. Set in his own fantasy art room, he collects the required things from the Doodle drawers as he creates and makes pictures, objects and other things come to life. Join in with him as he then wakes up the shapes to perform a song and dance together. 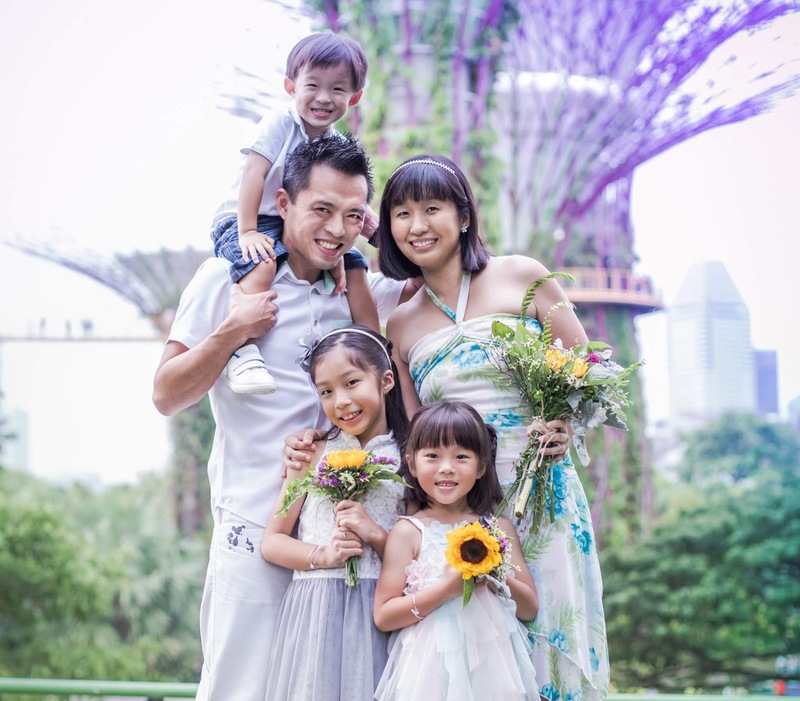 Mini Makers can catch also Mister Maker on CBeebies (StarHub Channel 303) daily from 10am to 10.40am. 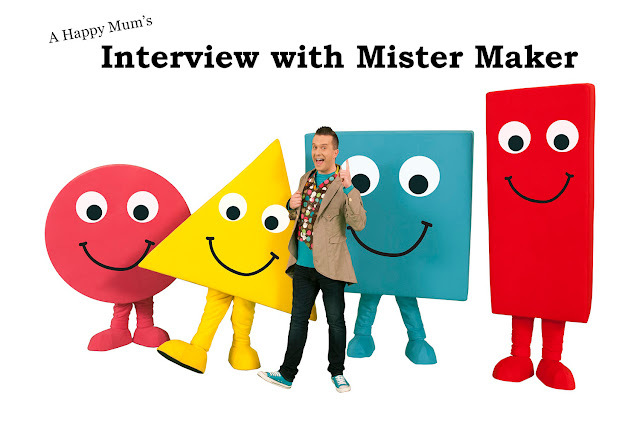 I'm humbled to have been able to conduct an interview with Mister Maker! No, I didn't manage to sit down face to face with the man himself, but I did managed to get his replies through email. In fact, my girls helped me to come up with some of the questions and they were elated to hear his answers. Here's what he says! 1) When did you discover your interest for kids' art and craft and how did you eventually land the job of Mister Master? I have always enjoyed arts and crafts - from a very early age. It sounds a cliché, but being Mister Maker is my dream job. I always wanted to be a children's television presenter and to be one now on a show that encourages fun and creativity, is a dream come true. Mister Maker was created in 2007 by a company called the "The Foundation" in the UK. After many auditions, I was chosen to be the man in the spotty waistcoat and since our first series, I've been able to get involved behind the camera as well as in front of it. 2) It looks smooth and easy on screen but we all know how tough filming can be. How long does it roughly take to film a 20-min episode? Can you share some of the biggest challenges during filming? The time taken to film an episode really varies – depending on what we are filming and where. Quite often we film everything out of sequence too. In terms of challenges, when I dipped a tennis ball in a painty mixture and then bounced it against a canvas, it created one of the messiest makes we have ever made on the show! As we always say on Mister Maker - remember to put on an apron and ask a grown up before you try that one! 3) You have such a cheerful disposition on screen and your passion for making is infectious. How do you manage to keep that passion burning after all these years? Simple – I feel very lucky doing what I do…and I love my job. And now, being able to travel the world and bring our live show to children and grown-ups everywhere is an honour and a privilege. I hope everyone enjoys the theatre show and that they are inspired to go home to sing, dance and make things! 4) Where do you/your crew draw inspiration for all the art and craft projects? Are all the ideas original? It is a real team effort – we have a small but very creative team and we love bouncing around ideas and making them the best they can be. We find a great starting point for arty inspiration is the world outside your window. 5) You've gone to many countries in Mister Maker Around the World. Which are your favourite countries and are there any fun travelling incidents to share? I feel very blessed to have had the opportunity to travel so much. And now…one of the things that makes me most proud is that wherever we perform our live show around the world, children and grown-ups give us such a warm and excited response. It is heart-warming to hear the reactions of the crowd and we are so thankful for their support. I love Singapore…I have made many trips here to perform Mall shows before – but this is our first dedicated theatre show with The Shapes!!! 6) How many different items are there in the Doodle Drawer? Great question…but impossible to answer! Too many to count! 7) Name three of your most favourite/memorable art and craft projects done on the show. 1 – The Pompom Bug….2 – Fake Beans on Toast…and 3 – A special big make that we do live on stage during the theatre show. The whole audience takes part…I can’t give away too much now, but hopefully you can come and see the show and help me make something! 8) Lastly, do you have any word of advice/encourage for my kids and all the Mini Makers out there? Just have fun! Have a go at making something and I guarantee you will surprise yourself and be really proud of what you create. 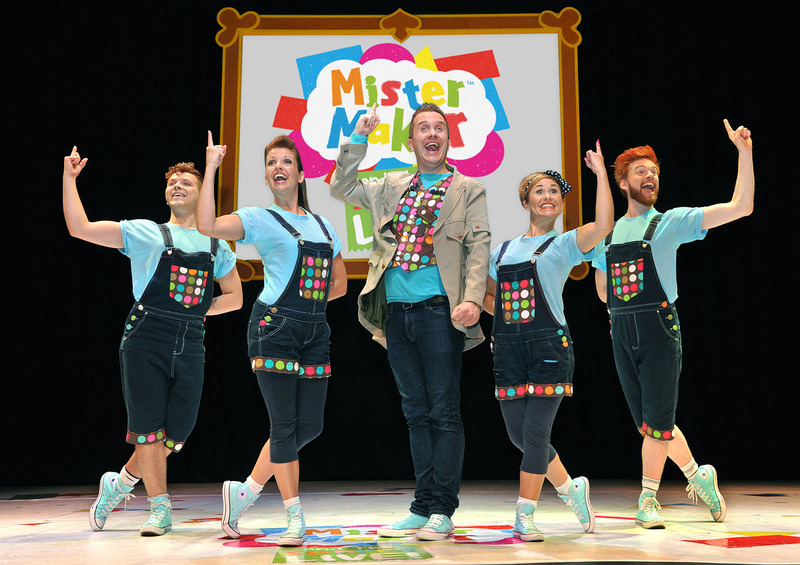 Thank you, Mister Maker, and we will see you around very soon! So I did a giveaway on Instagram last week and gave away a family package of 4 tickets. Congratulations to @cancerian_celin! If you missed that, here's the good news, I have a second giveaway coming up right here! To participate, leave a comment in this post with your name, email and tell me what you/your kids love about Mister Maker. Indicate in the Rafflecopter widget that you have done so and to increase your chances of winning, you can carry out the rest of the options. This giveaway is open to all readers residing in Singapore and ends on 31 May at 2359hrs. Good luck! Disclosure: We were invited to Mister Maker and The Shapes Live on Stage and received complimentary tickets in writing this post. All images are provided and all opinions are my own. We have never watched Mister Maker before but after seeing so much hype online about his show in Singapore, I switched it on for my children to watch. I was pleasantly surprised that they were glued to the phone afterwards! In my opinion, this is a much better program to watch than Jake and the Neverland Pirates! Hoping to win it for them to catch it live on stage! Would love to be able to do something crafty with the girl! My children love Mister Maker because they love arts and crafts! Most of the items needed are around the house, or cheap to buy and they enjoy creating the crafts from the simple instructions. I know they'll be thrilled to see the show live! I love his passion for arts & crafts for so many years, definitely would like to see him live on stage! My kids love Mister Maker because of his arts and crafts. He even make himself so funny when hosting. It will be great fun if to see him live on stage. We have not watched Mister Maker before. But there are so much positive reviews of the show and hope to get a chance to catch the show. Would love to catch the entertaining show. My daughter loves watching Mister Maker doing his crafts and also the shapes! My son is a HUGE fan of Mister Maker. He started watching Mister Maker in Cbeebies since he's 3 years old. At 8 years old now, he still enjoy watching Mister Maker and learn the art creativity from him. Hope to win this so i can bring my son to watch him LIVE on stage! Thanks for hosting this giveaway! My 4 year old son likes when all the shapes dance at the introduction and dance along with them. What more, Mister Maker is so creative and interactive with his crafts. We love Mr Maker for making arts and crafts fun, enjoyable and hassle free. It's one tv show that we wouldn't say No. Mr maker instils creativity and confidence in the kids and the hands on approach results in some very interesting masterpieces. We love it. My girls love Mister Maker and the Shapes! And this mummy me always wanted to make something we saw from his show together, but never happened. Hope to surprise them with this win!